In 2005 Jean published her landmark book Hiring the Heavens which introduced a unique perspective on connecting with the power of the heavens to fulfill your daily and life goals. Jean stumbled upon a power beyond her wildest dreams. More fantastic than the Law of Attraction and it is ridiculously easy to use. You can use this power, anywhere and at anytime. Whether you need help with your business, relationships, or personal life. Hiring the Heavens is inspiring people all over the world to create their world in tandem with the workforce of the celestial realm. Since its release date in 2005 Hiring the Heavens has been consistently ranked in the top 3% of books sales on Amazon.com. 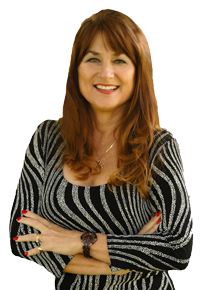 She is the founder of the Higher Guidance Life Coach Certification Program & the Creative Mystic program which teaches holistic healing modalities and spiritual philosophies intended for self-growth and assisting others on their paths to wholeness.